Hotel Country Villa - a beautiful paradise on earth is your ideal address in Nagarkot. It boasts of wonderful scenic canvas of Himalayas stretching form Mt. Kanchanjunga in the far east to the Annapurna massif in the far west and the revering sunrise that serenades the entire valley. Hotel Country Villa oozes luxury in every sense and the lobby epitomizes the ultimate class. The lobby offers an out of the world panoramic landscape from all points through its floor to wall ceiling windows. Add into it the minute detailing for comfort, the visitors can just relax and savor the scenic splendor. A rare opportunity .... a rare destination ... that also of prime locations on this earth. Nestled in the peak of the Nagarkot hill Hotel Country Villa will pamper you with the captivating mountains, wilderness and the unspoiled landscapes and sceneries. All rooms are well furnished and spacious with pinewood paneling, shoe-racks, attached baths with 24th hours Hot/Cold running water. Country Villa proudly boasts of having the modern facilities, communication service private verandahs, garden lounge, restaurant and bar serving delicious cuisine complemented with local and imported drinks, that is bound to soar your feeling to great heights at all times. 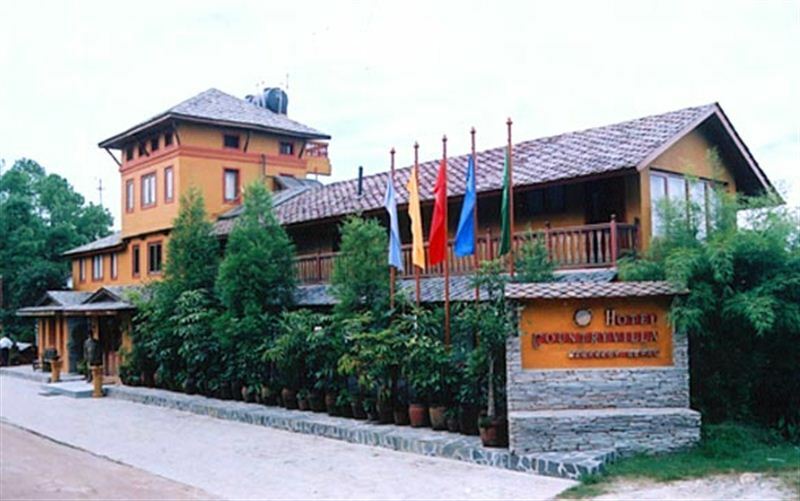 The restaurant with a seating capacity of 100 peoples including an open terrace area offers a breathtaking view of deep valleys and high mountains, It serves varieties of mouth watering delicacies - Nepali, Chinese, Continental and Indian Cuisines which will ignite your connoisseur tongue. The bar stocks a wide array of drinks. In totality, the restaurant and the cozy bar is a perfect blend of ethnicity and modernity. This "BB" Package Includes : - Room & Breakfast Only. Note : - Pick and Drop facility is an Optional. If it is required, it is provided by Hotel's private Car (max 4 People) according to the requirements from client's destination to Hotel and vice versa.